More hospitals are recognizing that their laundry needs to be part of their overall infection prevention strategy. This has put an intense spotlight on the facility executive who oversees the environmental services (EVS) department, mainly because this same executive also oversees the laundering of healthcare textiles (HCTs), which is either on-premise or through outsourcing to commercial laundries. We’re hearing from commercial laundries that, to be considered a vendor, they’re receiving requests for documentation qualifying their credentials. Healthcare customers want formal acknowledgement from the laundry verifying that its processes are based on the highest professionally recognized standards for patient safety and infection prevention. But what about on-premise laundries (OPLs)? Should they hold themselves up to the same scrutiny? Do similar healthcare laundry standards apply? We believe so. While documented cases of HCTs contributing to healthcare-associated infections (HAIs) and deaths are rare, reports of microorganisms on textiles causing infections is possible. There are various multidrug-resistant microorganisms that can survive on textiles for weeks, making it possible to harbor and pass pathogens on to surfaces. This means that while it is imperative to have a validated wash process that consistently produces hygienically safe and clean textiles, close attention must be paid to the many contamination risks after the wash process. 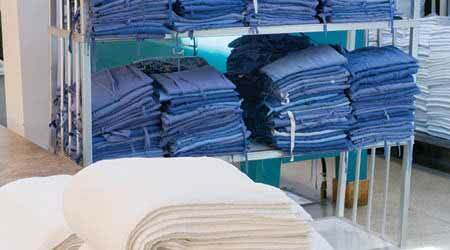 Clean linen that becomes contaminated after washing is just as dangerous as dirty linen. Washing alone isn’t enough. After laundering, potential contamination risks to textiles can remain. For example, linens can be exposed to contaminated air in the laundry finishing room, contaminated carts, and/or lack of proper hand hygiene by cleaning workers. This certainly makes the case for including laundry in the infection prevention strategy. But the foundation of this strategy is maintaining robust laundry standards. A 2015 study published in Infection Control & Hospital Epidemiology notes that current infection prevention strategies for laundering and handling textiles are adequate in preventing HAIs — provided that every step is taken to maintain the hygienic quality of linens prior to use. This study is based on findings and recommendations from peer-reviewed studies, as well as current standards and guidelines, many of which are applicable to the standards found in the Accreditation Standards document developed by the Healthcare Laundry Accreditation Council (HLAC). • Barriers must exist that ensure dirty textiles can never fall/bump/touch clean textiles. Processes must be established to ensure that workers from the soiled side can never enter into the clean side before de-gowning or practicing proper hand hygiene. Dirty hands can contaminate clean linen that may then touch a sick patient, but these same linens may also contaminate the laundry employees. Therefore, it’s important for personnel to receive training in proper hand hygiene techniques. Also, handwashing facilities or antiseptic hand cleaner must be available in or around all work areas in both clean and soiled textile areas. This ensures that dirty hands cannot contaminate clean textiles, and dirty textiles minimize likelihood of contaminating worker hands. Processes must exist where all employees who leave soiled areas or enter clean areas first wash their hands. This is the cleaning of the actual on-premise laundry area. Conduct regular blow downs, disinfect surfaces, control lint, and maintain checklists to ensure that the job is done properly. Carts, containers, covers and liners used to collect or transport soiled textiles must be properly cleaned and disinfected after the cart is emptied and before any further use. For example, it is important that clean linen in the cart is protected from contamination, including water splash-up from the holes found on the bottom of many carts. Departments should have policies and procedures that ensure safe transport of clean textiles. Clean linen carts should be protected and covered with clean cart covers, and personnel handling clean textiles must practice proper hand hygiene. Surfaces where clean linens may be placed must also be disinfected regularly to ensure cleanliness. These policies and procedures should be developed in collaboration with environmental services, infection preventionists and nursing staff. Air quality management is the process of keeping all of the air from the dirty linen side from ever entering the clean linen side. 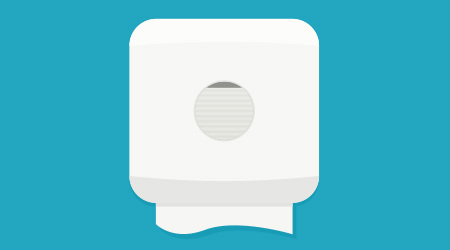 Facilities should be set up so that the clean side has positive air pressure and the dirty side has negative pressure. This process includes the sorting of soiled textiles by classification and/or type of goods. For example, soiled loads must be segregated according to item types to ensure proper wash formulas. Don’t mix heavily soiled items (bed pads, operating room towels and gowns) with lightly soiled items. Conversely, you don’t wash lightly soiled items (bath blankets, sheets, patient gowns) on a heavy soil formula. This wastes valuable time, resources and causes the textiles to prematurely break down. Also important in the sorting process is following universal precautions by all personnel who handle linens (avoiding contact with patients’ bodily fluids through the use of appropriate personal protective equipment), as well as having foreign objects and sharps policies. A proper washing process is one of the first steps to producing hygienically clean and safe healthcare textiles. In addition to following fabric-care instructions, this process should include following machine and chemical manufacturer recommendations. It’s important to maintain dryers in optimal condition for the proper drying of HCTs according to three elements: time, temperature (165 degrees Fahrenheit, minimum) and tumbling. In fact, these three “T’s” are essential to the laundering process and, combined, make another important step to destroying bacteria, pathogens and spores. Always monitor and control the drying procedures for each textile classification. Having sufficient cool-down time is also needed for comfortable handling and to minimize wrinkling. The finishing process involves having ironing equipment that is properly maintained and in good operating condition; dry folding and stacking equipment that ensures textiles maintain hygienically clean status; and rewashing in the event of soiling. Facility executives are increasingly beginning to grasp how HAIs threaten not only patients and staff, but also a facility’s reputation and finances. As such, many healthcare facilities have commenced enterprise-wide multimodal intervention initiatives to prevent infections. These initiatives are multidisciplinary in makeup and are now including professionals responsible for the laundry aspect of quality patient outcomes. In this scenario, one of the most important decisions the EVS professional can make is to become the critical voice for how and why healthcare laundry needs to be part of the infection prevention strategy. ROCCO ROMEO is board president of the International Association of Healthcare Textile Managers, a nonprofit organization for healthcare laundry cooperatives that provides senior-level textile managers with resources and support to maximize their laundries’ efficiencies and control costs. JOHN SCHERBERGER is board president of the Healthcare Laundry Accreditation Council, a nonprofit organization formed for the purpose of inspecting and accrediting laundries processing healthcare textiles for hospitals, nursing homes and other healthcare facilities.